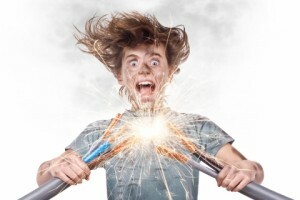 Is the wiring in your home old or faulty? According to the National Fire Prevention Association, most house fires are caused by bad wiring. There are two main things can cause bad wiring to lead to a fire: the wiring gets exposed or it starts to spark and heats up close to ignitable materials. When wiring starts to wear out, it can no longer transfer electrical currents properly. Additionally, holes can start to develop in the insulation. Both of these things increase your risk of getting electrocuted when touching light switches or sockets. Not only does faulty wiring fail to transfer electrical currents properly, it also doesn’t reliably transfer power. This can lead to an inefficient electrical system, which means higher electricity bills. Now that you know the downsides of keeping faulty or old wiring in your home, it’s time to learn the signs that you need an electrical upgrade! Please stay tuned for our next blog to learn more.